Hello! Thank you for your interest in our research with mediums (people who report experiencing regular communication with the deceased). Please be sure the read the important information at the bottom of this page. Certain mediums can make accurate statements about dead people that they couldn’t reasonably know. Experiences of communication with the deceased have differences and similarities when compared to experiences of obtaining psychic information about the living. The explanation best supported by the data is that at least some mediums are communicating with the dead. This is possible within the non-materialist model of consciousness as non-local. Mediums may have unique psychological or personality characteristics when compared to non-mediums. Claims that all mediums are fabricating information or recalling facts previously acquired about the deceased are not supported by EEG data. Based on analyses of blood collected from mediums, it may be something other than mediumship that is responsible for the increased disease prevalence in this population. Positive effects on grief similar to those seen with spontaneous and induced after-death communication experiences are expected after readings with mediums but more research is needed to draw any strong conclusions. Details about specific studies and other supporting citations are provided below. The Information Research Program examines the accuracy of information reported by mediums. The Operation Research Program includes research on mediums’ phenomenology (experiences), psychology, and physiology. The Application Research Program explores the potential therapeutic effects on grief of assisted after-death communication during readings with mediums. See below for what we studied and what we found. This program tests if mediums can report accurate and specific information about the deceased loved ones (called ‘discarnates’) of living people (called ‘sitters’) using anomalous information reception (AIR), that is, without any prior knowledge or feedback and without using deceptive or fraudulent means. (e) the experimenter who interacts with the sitters during scoring (i.e., e-mails and receives by e-mail the blinded readings; Experimenter 3) is blinded to information about the discarnates, to which medium performed which readings, and to which readings were intended for which sitters. The resulting accuracy data collected included 58 scored readings performed by 20 WCRMs and scored by 116 sitters. This study served to replicate and extend data collected during a previous study (11) and provides statistical evidence that mediums can report accurate and specific information about the deceased under fully blinded conditions that address all normal, sensory explanations for how they could have acquired that information (4). We also observed as part of this research program that mediums tend to report three types of information during readings: information that helps the sitter recognize the discarnate, events that happened in the sitter’s life since the death, and specific messages from the discarnate. Ideally, researchers in other labs could use our established peer-reviewed protocol to replicate our studies. This program examines the unique experiences (phenomenology), psychology, and physiology of mediums. Accuracy data alone cannot prove where mediums’ information comes from. There are two major theories (9) regarding the source of mediums’ information: one is called ‘survival psi’ and claims that mediums are receiving information directly from discarnates; the other is called ‘somatic psi’ and asserts that mediums are using some form of psychic functioning (e.g., remote viewing distant places, events, or objects; perceiving the future; or reading the minds of living people) to retrieve information about discarnates. Basically, the argument is that (once fraud is eliminated as an explanation) mediums are either hearing from the dead or are using psychic abilities to collect and report information about the dead. No amount or type of accuracy data can break this tie. So we’re taking a different approach. Studying mediums’ experiences starts to address where they get their information. Mediums have spontaneously reported that they are communicating directly with the deceased and most say they can tell the difference between what communicating with the dead feels like and what it feels like to do a psychic reading in which they report information about the past, present, and future of a living person (17). We have used quantitative (10) and qualitative (17) experimental methods to define the similarities and difference between the two types of experiences (somatic psi and survival psi). As would be expected, there is some overlap between the two. Both experiences involve what’s called a multi-modal experience: more than one ‘sensory’ experience is happening during the event. They may see, hear, and feel things that they interpret and report. But there are also differences. The results of an exploratory study imply that mediums may experience a greater sense of love when communicating with the deceased than they do when performing psychic readings about living people (10). In addition, a mixed quantitative and qualitative study of mediums descriptions of their experiences during the two different types of readings suggested that different senses may be experienced during each type of reading and to different degrees, readings about the living may be more analytical while communication with the deceased may be more intuitive, and psychic information about the living may be easier to understand than communication with the deceased (5). The explanation best supported by the blinded accuracy data when taken together with the phenomenology data is survival psi; that is, it seems that at least some mediums are communicating with the dead. How can this be? That deceased people continue to exist after the death of the physical body and can communicate with the living falls well within the non-materialist scientific model that suggests that consciousness (mind, self, etc.) is ‘non-local.’ The idea that consciousness is somehow created by the brain is called ‘materialism’ (20) and is just a theory at this point. The alternative theory of ‘non-local consciousness’ (14) states that consciousness exists separately and is funneled through or translated by the brain. A plethora of evidence from controlled, peer-reviewed research provides support for this non-local model of consciousness. We have designed a study to examine mediums’ brain activity during the two conditions (as well as other conditions) using functional magnetic resonance imaging (fMRI). To support this and similar research, please donate. 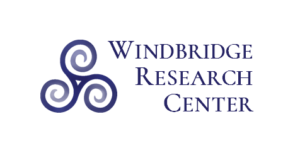 Previous research with Windbridge Certified Research Mediums demonstrated that they scored higher than published norms for the personality traits: extraversion (they are social, friendly, or outgoing), conscientiousness (they are organized, reliable, or mindful), and openness (they are intellectual, imaginative, or curious). They scored lower than published norms for the personality trait neuroticism (they are confident and emotionally stable; they are not neurotic, anxious, or nervous) (3). These may be traits of mediums willing to be tested in a lab versus traits of mediums in general. The Windbridge mediums also scored higher than published norms in a trait called transliminality, “a largely involuntary susceptibility to, and awareness of, large volumes of inwardly generated psychological phenomena of an ideational and affective kind” (21). Mediums may have unique psychological characteristics when compared to non-mediums. We are currently in the process of analyzing data from a large survey study in which the psychological characteristics of self-identified mediums and non-mediums from all over the US are being compared. This includes comparing scores from surveys which rate: the Big Five personality characteristics (openness, conscientiousness, extraversion, agreeableness, and neuroticism), general psychological well-being, fantasy proneness, spiritual experiences, and compassion. To support this and similar research, please donate. During an EEG study, six Windbridge mediums were asked to consciously enter into four different mental states including communication with the deceased. The findings suggest that the experience of communication is a distinct mental state that is not consistent with brain activity during ordinary recollection, perception, or imagination (13). In addition, because modern mental mediumship involves real-time verbal communication, EEG, which is susceptible to muscle movement artifacts, may not be well-suited for studying this phenomenon. Claims that all mediums are fabricating information or recalling facts previously acquired about discarnates are not supported. We have designed a study to examine mediums’ brain activity during several mental states and conditions using functional magnetic resonance imaging (fMRI). To support this and similar research, please donate. 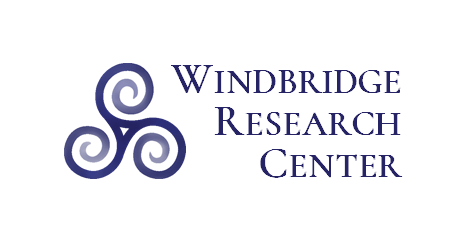 The mediums on the Windbridge team have a higher than normal incidence of certain diseases states including migraines and autoimmune disorders (2). To test whether mediumship readings cause stress on the body of the medium, we examined 27 hematological (blood) factors in five mediums before and after readings and before and after a control condition as well as measuring several standard psychophysiological factors including blood pressure, body temperature, and heart rate throughout both conditions. No detectable hematological or psychophysiological changes occurred during the mediumship readings. That is, performing a mediumship reading caused no changes in the mediums’ blood or vitals (6). These exploratory data suggest that it may be something other than mediumship that is responsible for the increased disease prevalence in this population or that one reading does not cause enough physiological stimulation to be detectable. We are currently in the process of analyzing data from a large survey study in which the medical histories of self-identified mediums and non-mediums from all over the US are being compared. This will allow us to determine if the trend of high disease prevalence can be generalized to a larger population of mediums. To support this and similar research, please donate. Unresolved grief can cause significant mental and physical distress (e.g., 18, 19). A meta-analysis of 61 controlled studies showed that traditional psychotherapy provides little to no effect for relieving grief (12). In addition, pharmaceutical interventions are not useful in the treatment of grief (7). Thus, the bereaved are in need of an alternative and effective treatment for alleviating grief. Numerous researchers have demonstrated that spontaneous and induced experiences of after-death communication (ADCs) with the deceased dramatically reduce grief (reviewed in 7, 8). This makes sense within the ‘continuing bonds’ model of grief (15) which suggests that grief can be overcome when the bereaved accept that their relationship with the deceased continues, just in a different form; it has changed from a relationship in the physical to one that is spiritual. To address whether assisted after-death communication experiences during a reading with a medium may have effects similar to these previously researched spontaneous and induced experiences (8), we performed an exploratory study using an anonymous, on-line survey which asked participants to retrospectively rate their levels of grief before and after a reading with a medium. The results indicated that participants recollected experiencing meaningful reductions in their levels of grief after a reading with a medium (7). Readings may be less frightening and easier to understand than more personal, spontaneous ADCs. The regulated environment of a reading makes it well-suited as a prescribable treatment option.A reading may be preferred for individuals who long for contact but have not experienced it. A reading may be preferred for individuals who long for contact but have not experienced it. A medium serves as a non-judgmental participant who will not disparage the experiences of the bereaved. Many bereaved individuals seek out assisted ADCs through readings with mediums, and anecdotal reports and initial survey data suggest that this practice may have positive effects (7). In addition, the combination of traditional psychotherapy and mediumship readings may prove to be more beneficial than either intervention separately (7). Positive effects similar to those seen after other types of ADCs are expected after readings with mediums but more research is needed to draw any strong conclusions. Only with controlled research can we effectively determine if receiving mediumship readings is helpful, harmful, or neither for the bereaved. Rember to alway consult with your healthcare provider when considering treatment options. We are currently collecting data from a clinical trial that uses an established quantitative grief instrument, control group, and statistical analysis plan to examine the impact of a mediumship reading on the bereaved. We are also developing training materials for clinicians and mediums based on the results of this study. Please donate to support this effort and join our email list to be notified when these materials become available. 1. Beischel, J. (2007). Contemporary methods used in laboratory-based mediumship research. Journal of Parapsychology, 71, 37-68. 2. Beischel, J. (2015, May). Assessing hematological and psychophysiological correlates of anomalous information reception in mediums. 34th Annual Meeting of the Society for Scientific Exploration, Rockville, Maryland. 3. Beischel, J., & Boccuzzi, M. (2017, February 15). Spirit talks and spirit walks: After-death communication in the laboratory. Forever Family Foundation [webinar]. 5. Beischel, J., Boccuzzi, M., Mosher, C. (submitted). Quantitative and qualitative analyses of mediumistic and psychic experiences. Threshold: Journal of Interdisciplinary Consciousness Studies. 6. Beischel, J., Boccuzzi, M., & Tassone, S. (submitted). Hematological and psychophysiological correlates of anomalous information reception in mediums. EXPLORE: The Journal of Science & Healing. 8. Beischel, J., Mosher, C., & Boccuzzi, M. (2018). The potential therapeutic efficacy of assisted after-death communication. In Klass, D. E., & Steffen, E. (Eds). Continuing bonds in bereavement: New directions for research and practice. London, UK: Routledge. 9. Beischel, J., & Rock, A. J. (2009). Addressing the survival vs. psi debate through process-focused mediumship research. Journal of Parapsychology, 73, 71-90. 10. Beischel, J., Rock, A., & Boccuzzi, M. (2013, June). The source of mediums information: A quantitative phenomenological analysis. Presented at the 32nd Annual Meeting of the Society for Scientific Exploration, Dearborn, Michigan. 14. Dossey, L. (2013). One mind: How our individual mind is part of a greater consciousness and why it matters. New York City, NY: Hay House, Inc.
15. Klass, D. E., & Steffen, E. (Eds). (2018). Continuing bonds in bereavement: New directions for research and practice. London, UK: Routledge. 16. Mosher, C., Beischel, J., & Boccuzzi, M. (2010, April). The potential therapeutic benefit of mediumship readings in the treatment of grief. Poster presented at Toward a Science of Consciousness 2010, Tucson, Arizona. 17. Rock, A. J., Beischel, J., & Cott, C. C. (2009). Psi vs. survival: A qualitative investigation of mediums’ phenomenology comparing psychic readings and ostensible communication with the deceased. Transpersonal Psychology Review, 13, 76–89. 20. Tart, C. T. (2009). The end of materialism: How evidence of the paranormal is bringing science and spirit together. Oakland, CA: New Harbinger Publications, Inc., and Noetic Books. 21. Thalbourne, M. A., & Delin, P. S. (1994). A common thread underlying belief in the paranormal, creative personality, mystical experience and psychopathology. Journal of Parapsychology, 58, 3–38. The information presented in this publication is provided “as-is.” In no respect shall the Windbridge Research Center or any of its employees or agents, incur any liability for any damages, arising out of, resulting from, or any way connected to the use of the information provided herein. Always consult a licensed healthcare provider when evaluating treatment options or making lifestyle changes.